A collective, whole school project, lasting three months. This project engaged the children in both developing ideas for the design, and in the painting. Their ideas were turned into an eye-catching colourful playground mural, based on the theme of Brazil. 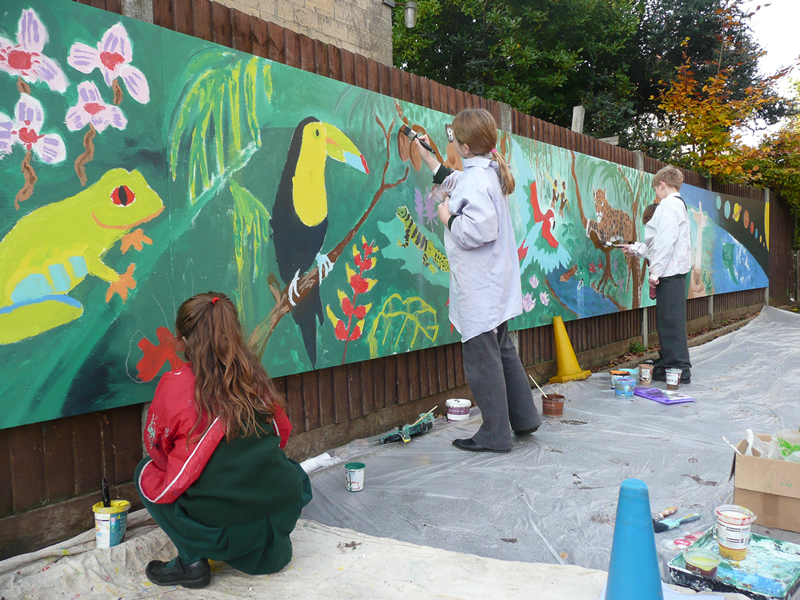 The mural also functions as an excellent outdoor learning tool - covering ecosystems, architecture, interdependencies as it illustrates the microcosmic world of the insects, through the plants, flowers, birds and animals of the rainforest, to the city scape of Rio De Janeiro, and finally the macrocosm of the solar system. 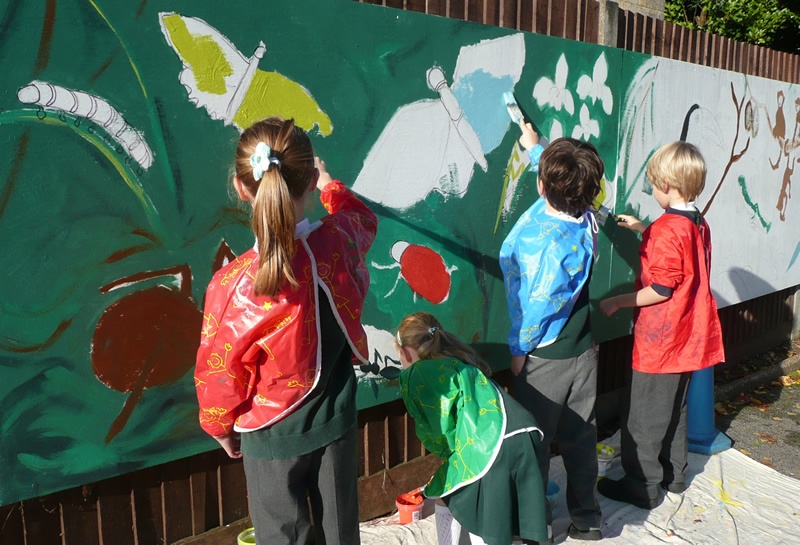 Every child in the school was involved in completing the painting. As the mural developed, the chidren's pride in their work grew, generating enthusiasm, excitement and interest in this creative, collective process.